It's Saturday so it's my turn to post over on the Bubbly Scrumptious blog. This week I've made a wall hanging using mainly Prima products. Lovin' all things Prima at the moment, can't get enough of their beautiful designs. As always there's a Step by Step guide to make it plus a full supplies list over HERE on the blog. A truly stunning wall hanging & love the colours..they are so pretty!! This is beautiful Vicky. 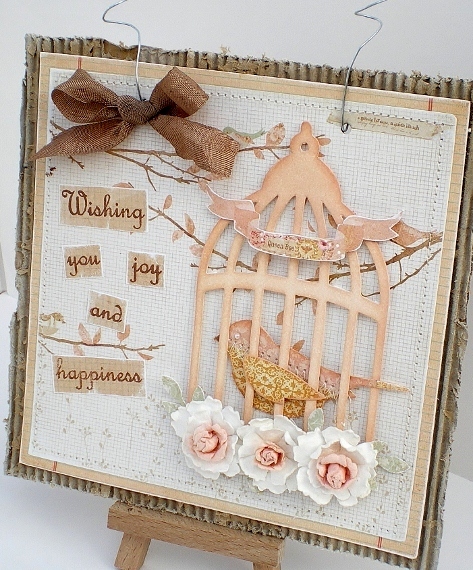 I just love what you do with Prima products, they are to die for. Gorgeous Vicky, what a great idea, the colours are lovely. Thanks also for the email re donating cards for Candlelighters. this is such a beautiful wall hanging Vicky! This is so beautiful Vicky!